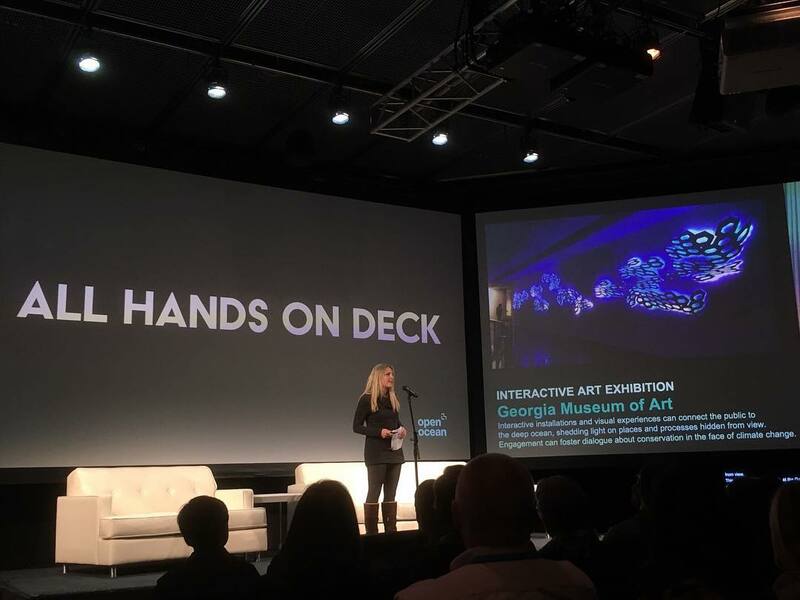 Rutstein was invited to participate in the 2018 National Ocean Exploration forum at MIT Media Labs as an Ocean Discovery Fellow that brought scientists and creatives together to talk about conservation and ways to inspire and connect people with the ocean. She gave a lightning talk on her exhibition on view at the Georgia Museum of Art. People as diverse as Steven Gould, sci fi writer working with James Cameron on the sequel to Avatar, and Nainoa Thompson, head of the Polynesian Voyaging Society, came together to collectively brainstorm on how to imagine a bright future for the ocean and our planet, and how we can engage the public in environmental stewardship. 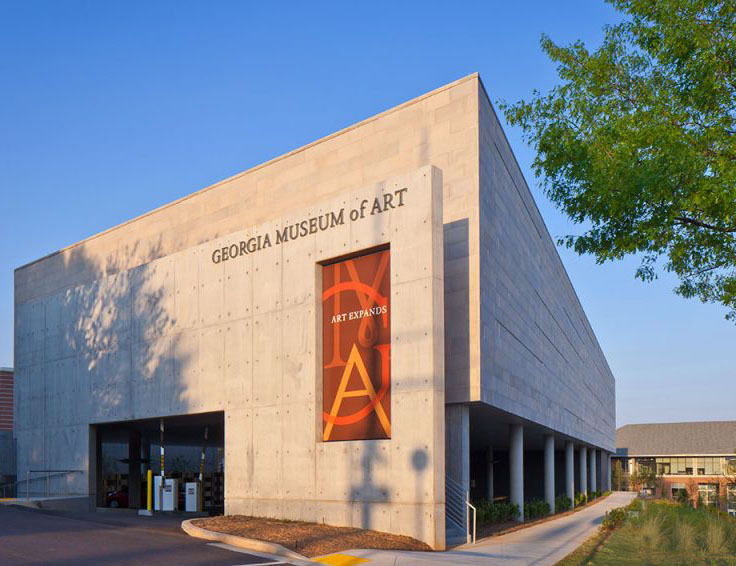 This year-long award from the University of Georgia includes an Expedition in Mexico’s Sea of Cortez, Deep Sea Dive in the Alvin Submersible and Solo Exhibition at the Georgia Museum of Art. Rebecca Rutstein has been awarded the 2018-19 Delta Visiting Chair for Global Understanding at the University of Georgia and will present a solo exhibition: Out of the Darkness: Light in the Depths of the Sea of Cortez at the Georgia Museum of Art. 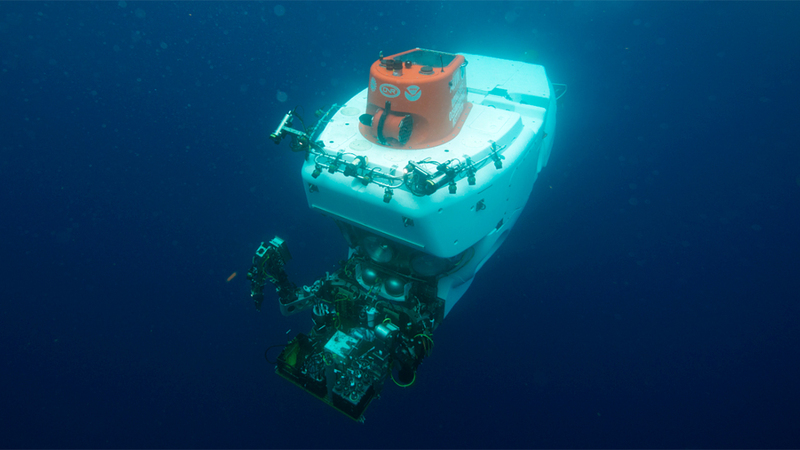 Rutstein’s year-long appointment as the Delta Visiting Chair includes an expedition to Mexico’s Guaymas Basin in the Sea of Cortez, and a trip to the ocean floor aboard the Alvin submersible vessel, to explore hydrothermal vents, microbiology and carbon cycling processes with renowned oceanographer and University of Georgia Professor, Samantha Joye. The exceedingly rare opportunity for an artist to be invited onboard the 2-person (plus pilot) submarine, is an honor and lifelong dream come true for Rutstein. 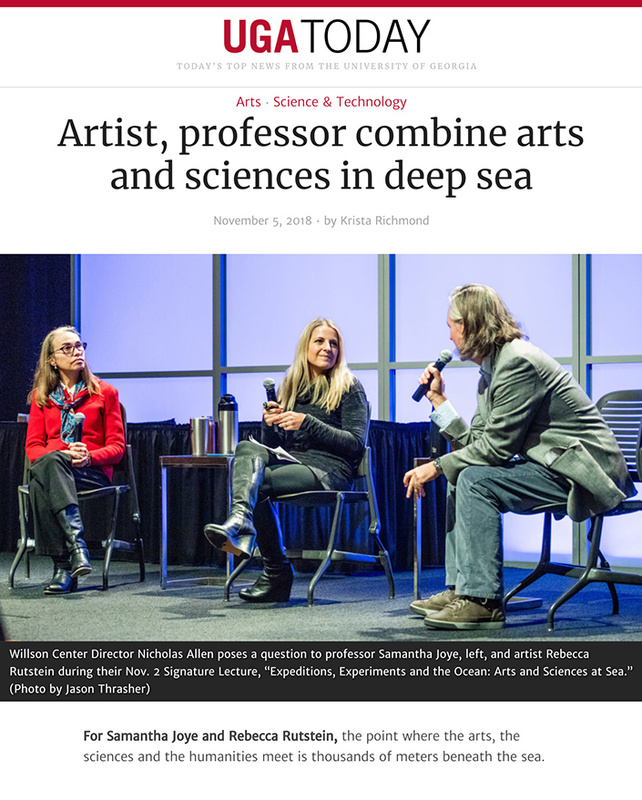 She will set up her studio aboard the R/V Atlantis and create new works inspired by this unique experience and with data being collected. Rutstein’s exhibition at the Georgia Museum of Art will feature a 64-foot long interactive steel sculptural installation that contains reactive LED lights that mimic the movements of the viewer. 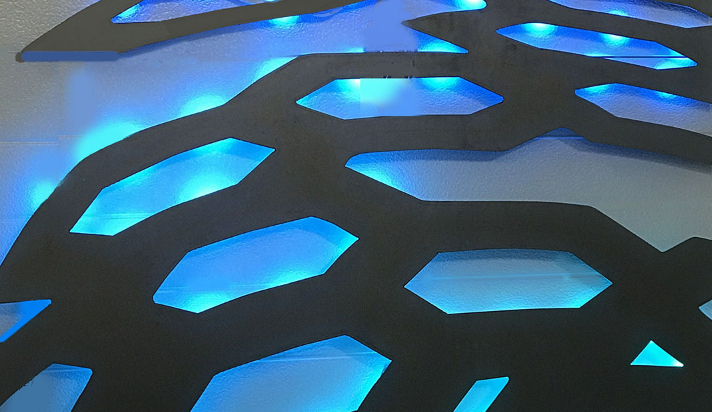 The sculpture is influenced by hydrocarbon structures and bioluminescence present in Guaymas Basin. 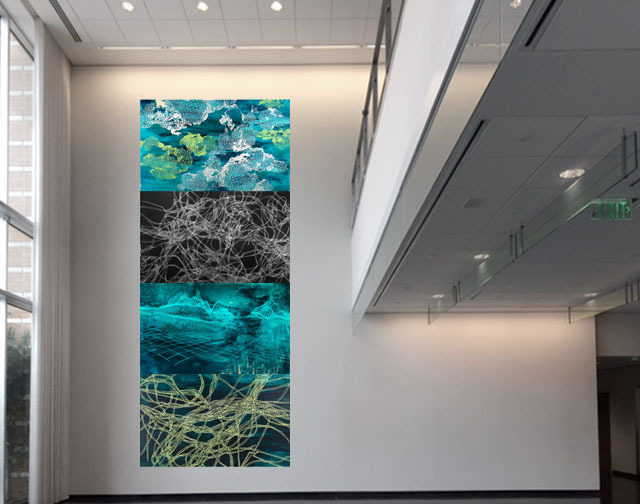 The exhibition also features a 22-foot tall painting, Progenitor, inspired by Rutstein’s descent 2,200 meters to the ocean floor at Guaymas Basin. Among other works, she will exhibit a large banner mural at the Lamar Dodd School of Art. 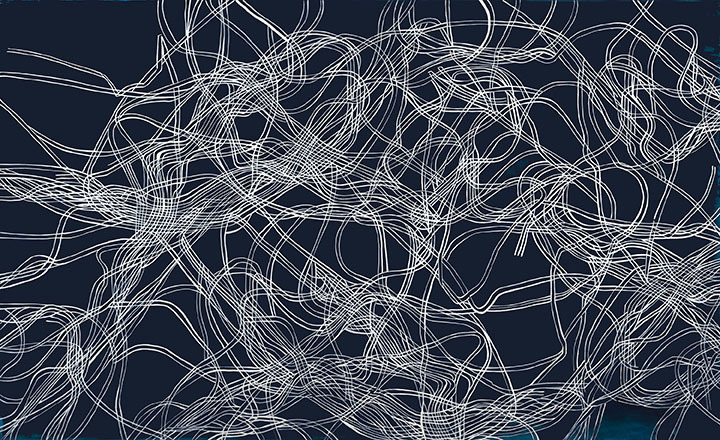 Rutstein will participate in lectures, panels and public engagements in Georgia throughout the year, including at the upcoming a2Ru 2018 national conference, “Arts Environments: Design, Resilience, and Sustainability” hosted by University of Georgia, Nov 1-3. 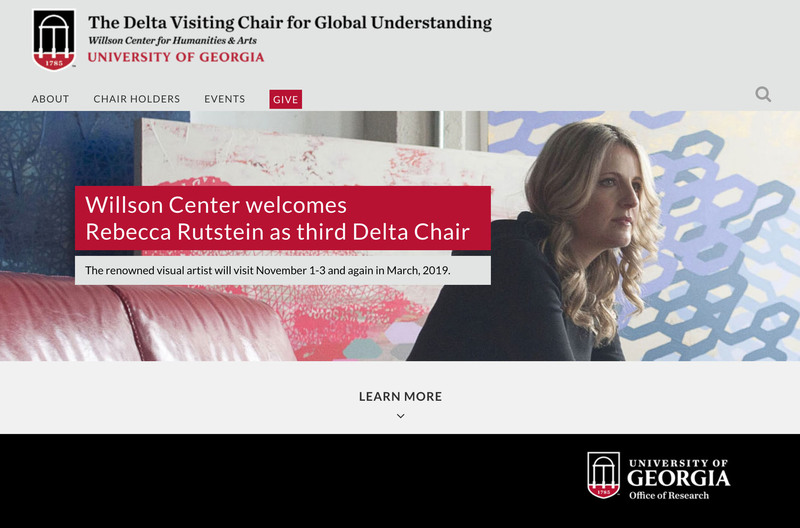 The Delta Visiting Chair, established by University of Georgia’s Willson Center through the support of The Delta Air Lines Foundation, hosts outstanding global scholars, intellectuals and artists who engage with the UGA community. 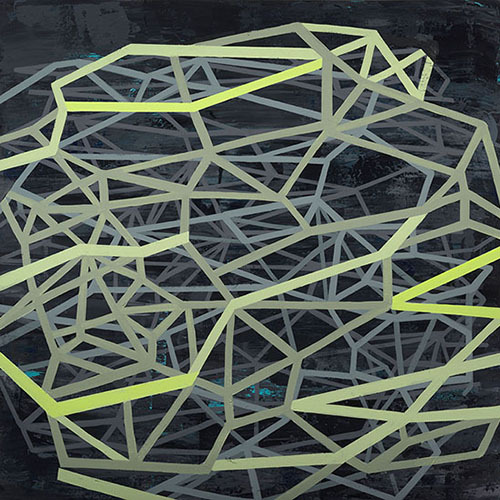 Through lectures, seminars and programs, they present global problems by addressing pressing contemporary questions about the economy, society, and the environment with a focus on how the arts can impact major contemporary issues. Its first honoree was Alice Walker in 2015. 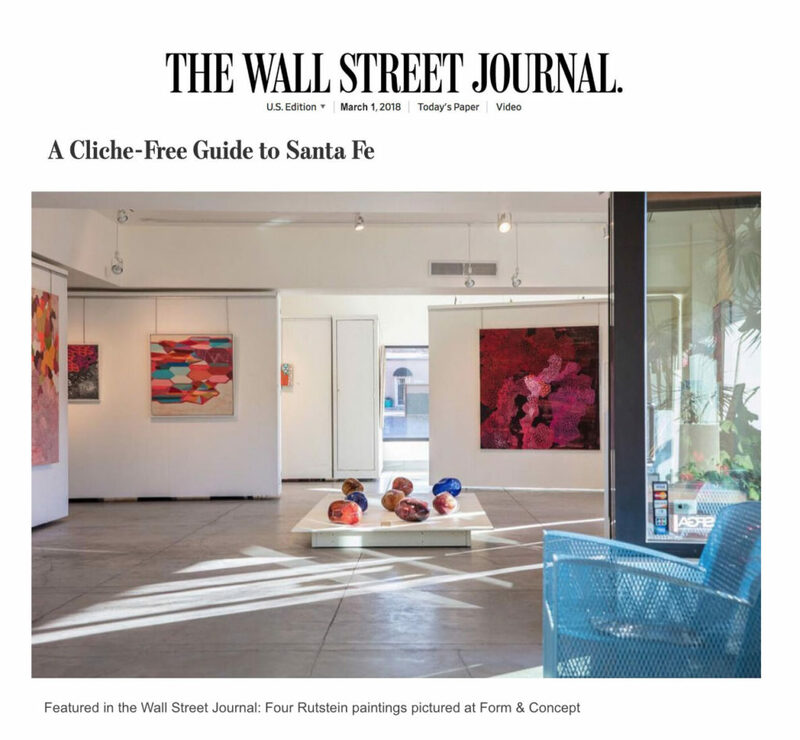 Rutstein’s work was featured in the Wall Street Journal’s “Cliche-free Guide to Santa Fe” with Form & Concept Gallery. 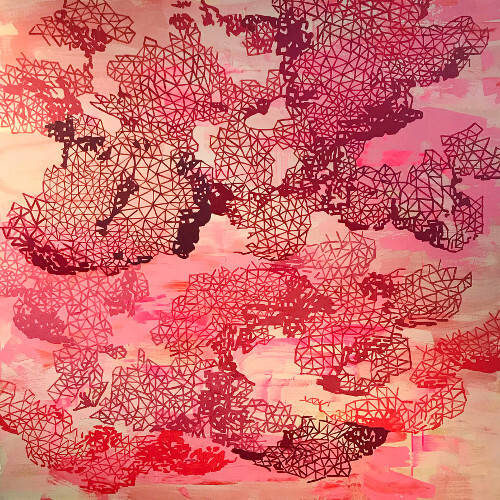 Curated by Erika Diamond, this exhibition draws together contemporary artists whose works depict the structural intricacy and metaphorical connectivity of Lace.